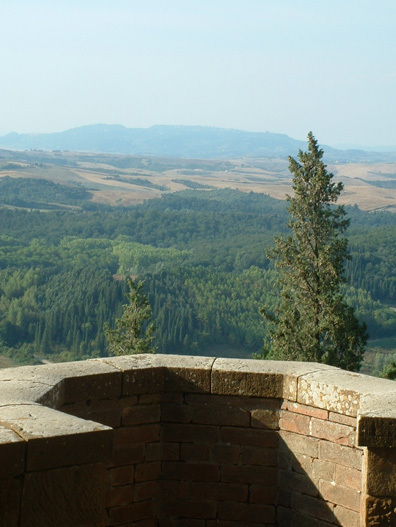 At least half a day should be scheduled for Volterra. 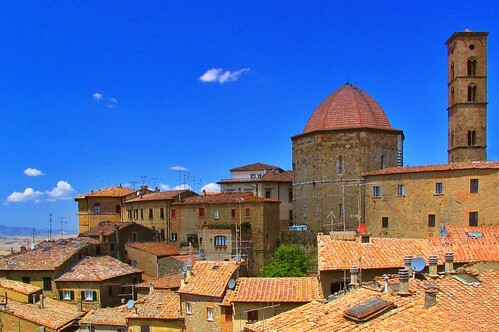 Because this city has, with its high buildings and cobbled streets, which give it sometimes a bleak appearance, many important sights to offer, such as the Etruscan Museum and the interesting alabaster craft with several workshops. The Museo Guarnacci is located just behind the Porta a Selci in Via Don Minzoni 15. This Etruscan Museum houses many finds from Volterra and surroundings. With more than 600 urn covers and statues from the 2nd century BC, it is one of the most important museums of Tuscany. 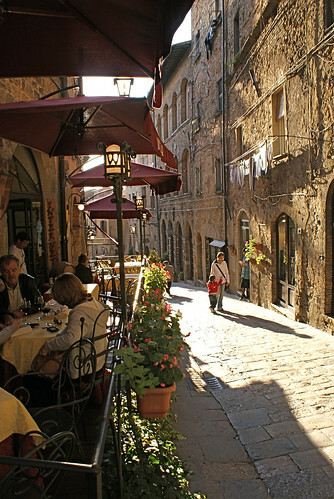 The Piazza dei Priori is the historical city center of Volterra. It is a spacious square, where there is the Palazzo dei Priori from 1208, the oldest town hall of Tuscany. With the few openings in the lower floors, it seems like a fortress. The Alderman Hall, with valuable frescos from the 14th century, can be visited upon request. In front of the town hall there is the Praetorian Palace with a triple-arched logggia and some private palaces and towers from the 12th and 13 century, which have been greatly changed during the 19th. century. The Cathedral Square, with its bell tower, is located behind the Praetorian Palace. The tower was rebuilt after its collapse in 1493. The cathedral was consecrated in 1120 and its facade was redesigned in 1254. The baptistery was built in 1278, the dome is from the 16th century. Inside the baptistery can be admired a wunderful baptismal font in renaissance style by Andrea Sansovino from the year 1502. Further south one comes to the Via Porta all’Arco (center of the alabaster workshops), which leads to the Porta all’Arco, the Etruscan city gate from the 4th century BC. Susanna Manghetti sells her fine etchings at Via Roma 24, Volterra. Have a look!